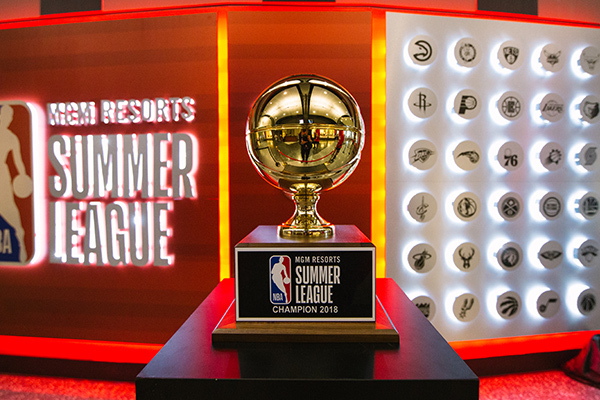 This year’s event will be July 5-15 at the Thomas & Mack Center and Cox Pavilion, and the schedule was tweaked at the request of NBA clubs to make it a little more compact. A record announced attendance of 139,972 attended last year’s Summer League, which was July 6-17. That was the first time all 30 teams participated. Orlando decided to no longer stage a Summer League, creating the way for Las Vegas to get the full lineup. The Portland Trail Blazers defeated the Lakers 91-73 in the title game, but Los Angeles guard Josh Hart was named tournament Most Valuable Player. Las Vegas’ Summer League began modestly with six teams in 2004, but grew quickly. It has not only become a gathering place for NBA fans, the event also is the focal point to conduct league business in July.